Minerva Punjab pulled off one of the most stunning feats of the nation by lifting the Elite League trophy, thumping FC Pune City by a comprehensive 2-0 margin in the final. The happiest man on earth today was no one else other than the Minerva Punjab owner, Ranjit Bajaj. His tweet said it all as it read, “@minervapunjabfc won the elite @ILeagueOfficial it means that we now hold all the titles I.e.under13/15/18 &senior-#TheOnlyIndianClub or #TheOnlyClubIntheworld to hold all titles at the same time ?? proud of my boys & staff/ unbeaten & 13 clean sheets out of 16 matches. Minerva Punjab notched up the senior I-League trophy in the previous season as they went on to upstage Churchill Brothers in the final game of the season. Their victories knew no halt as they went on to win the U-13 and U-15 trophies in quick succession. The season’s accumulated success culminated into an emphatic triumph in the final of the Elite League. 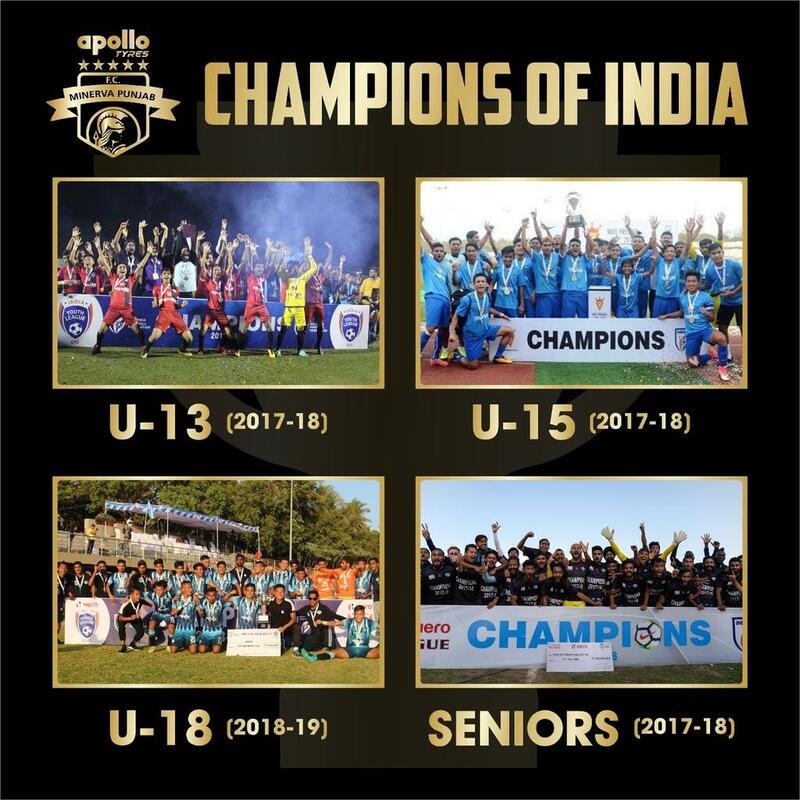 Mohun Bagan and East Bengal have surely gone on to win trebles earlier, but such a unique feat of achieving the bragging rights in all the age groups in the same season is something which no club in India has ever achieved. Talking about the world record highlights, one will have to dig deep down the encyclopedia to spot another record of such stature that parallels this incredible feat.